The Canada Council for the Arts, the UNB Department of English, The Fiddlehead, and the UNB Bookstore are pleased to invite you to a reading by Giller Prize-winning writer Sean Michaels. The event will take place at 8 p.m. on Wednesday, March 23, at the Alumni Lounge, in the Alumni Memorial Building, on the UNB Fredericton campus. 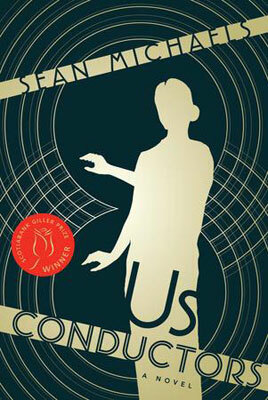 Winner of the 2014 Scotiabank Giller Prize, Sean Michaels’s Us Conductors is a beautiful, haunting novel inspired by the true life and loves of the famed Russian scientist, inventor, and spy Lev Termen, the creator of the theremin. Whisking us from the glamour of Jazz Age New York to the gulags and science prisons of the Soviet Union, it is a book of longing and electricity. This sublime debut inhabits the idea of invention on every level, no more so than in its depiction of Termen’s endless feelings for Clara – for what else is love, but the greatest invention of all? Sean Michaels was born in Scotland, raised in Ottawa, and eventually settled in Montreal, where he founded Said the Gramophone, one of the earliest music blogs. He has since spent time in Edinburgh and Kraków, written for The Guardian and McSweeney’s, toured with rock bands, and received two National Magazine Awards.